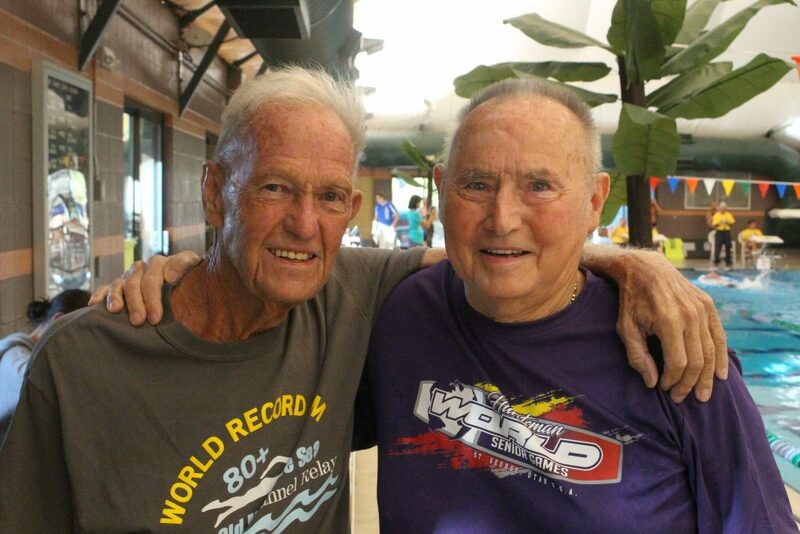 ST. GEORGE — Thursday morning, the second of three days of swimming competition at the Huntsman World Senior Games, two longtime friends once again battled each other in the water. 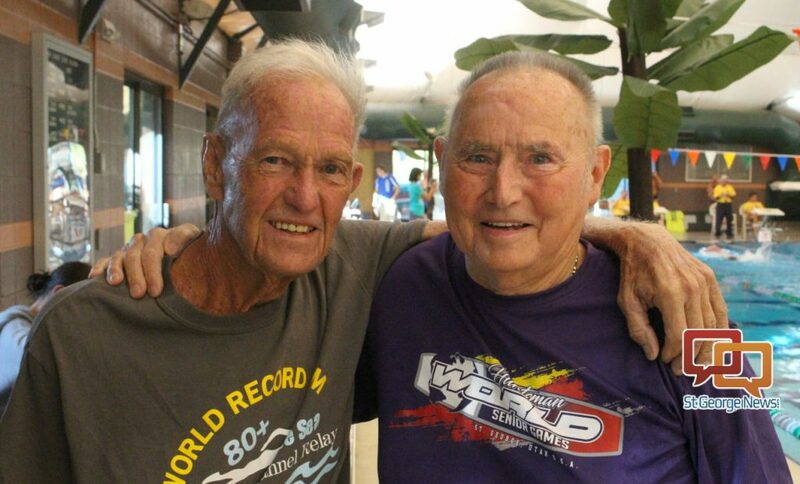 Graham Johnston and Donald Baker, both 86 years old, have been friendly rivals for nearly 20 years. Johnston edged Baker in the 100-yard individual medley Thursday morning at the Sand Hollow Aquatic Center, but both men said the camaraderie they share with each other and other swimmers is far more important than times or medals. “It encourages older people to stay physically active until the day they die,” Johnston said of the Huntsman World Senior Games. This is his 16th year of participation at the games. 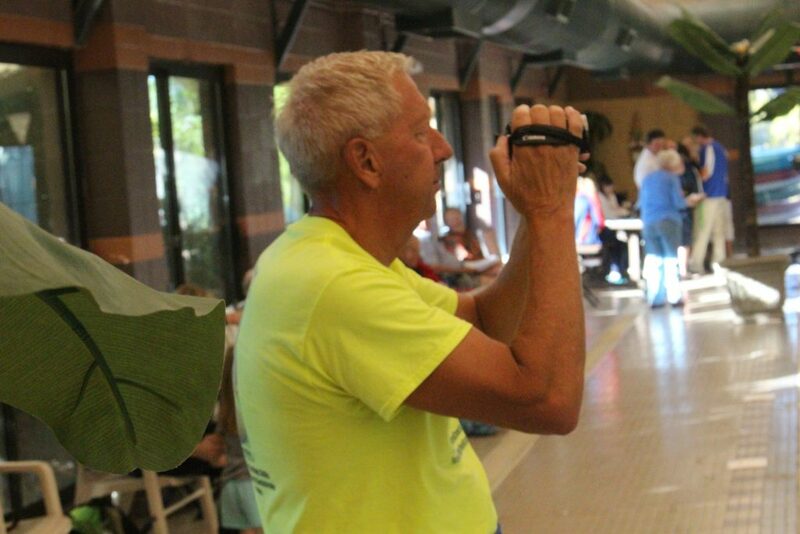 “You meet some really good people in swimming, people who are dedicated to good health,” agreed Baker, who has been a Huntsman World Senior Games participant for the past 23 years, all while battling multiple forms of cancer. “Praise God, I’m still able to get in the water and swim a little bit,” Baker added. Baker’s wife Gini, 67, competed in the 200-yard freestyle race and a couple other events Thursday. “I first came here when I was 50, and there was no records in this pool, so I got to set every record,” Gini Baker said. The Bakers reside in both Phoenix and San Diego. Two years ago, Don Baker and Johnston successfully swam the 20-mile Catalina Channel in the open ocean off the coast of Southern California, taking about 12 hours and setting age-category records in the process. Johnston is no stranger to the record books, having set more than 100 age-group world records spanning various distances. 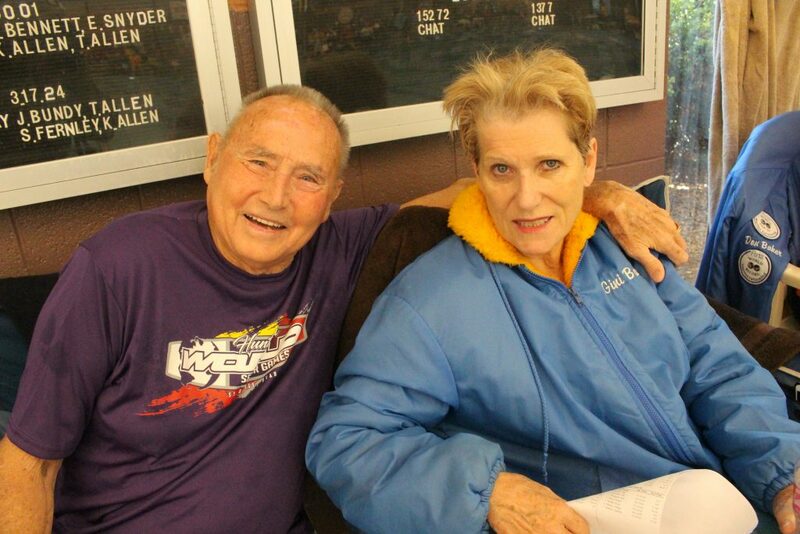 A South African native, Johnston swam for his home country on its 1952 Olympic team. 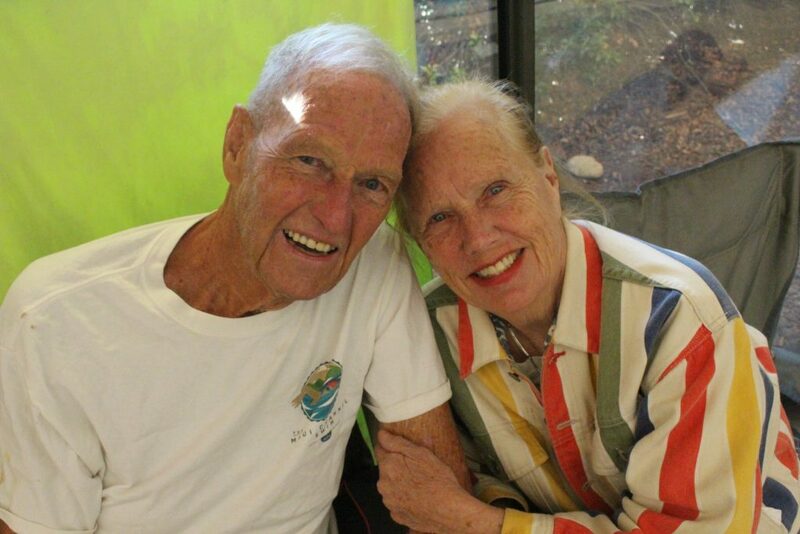 Johnston and his wife Janice now live in Houston. Janice is her husband’s stalwart cheerleader on the sidelines, hollering “Go, Graham!” during every race. The Bakers are each swimming nine events this year, while Johnston is competing in seven. 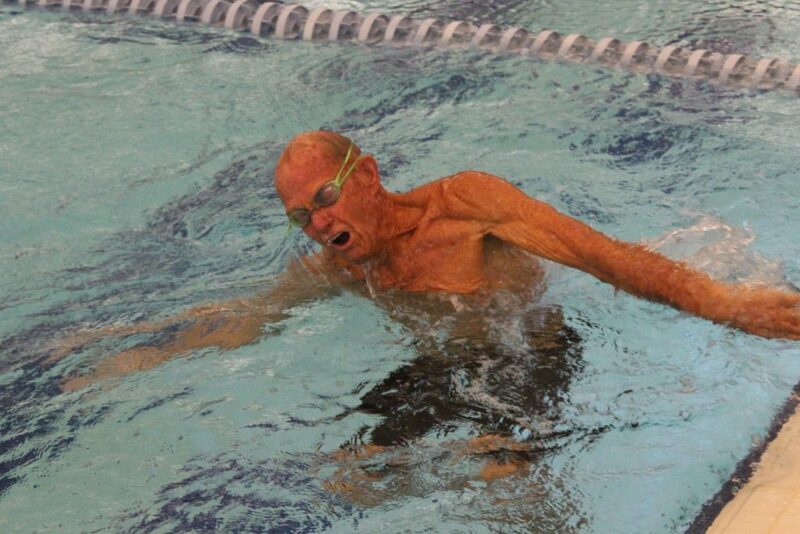 The Bakers and Johnston are but a few of the dozens of swimmers competing at this year’s Huntsman World Senior Games. 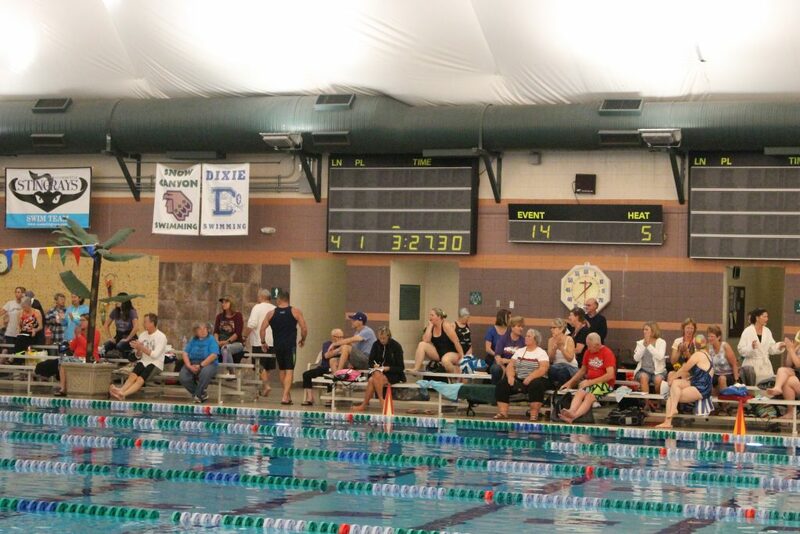 The swim competition wraps up Friday with five more events at the Sand Hollow Aquatic Center in St. George, starting at 8 a.m.